Supporting the arts, culture and creative industries of the North, Arts Nexus provides advice and assistance in art-related matters. Make an appointment with our Program Coordinator or drop in to discuss grants, skill development, arts business and planning. Attend forums, discussion groups, networking and Monthly MeetUPs. Each month a different art form will be focused, covering various topics for open discussion and idea sharing. Free Wifi and desk space is available for the community to create and inspire. Join Arts Nexus for advice service, attend events and subscribe to the newsletter to be kept up to date. 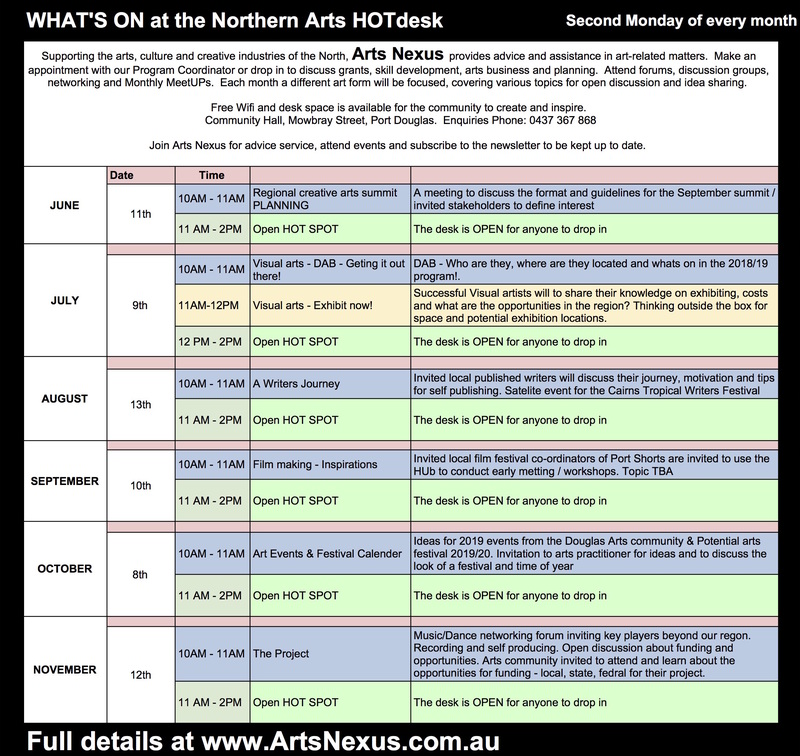 Next Next post: Arts HOTdesk – Port Douglas – It’s all on FILM!